With the emerging of the new down to the modern Saudi state by its founder king Abdul Aziz , the winds of development blew on the vast peninsula in al fields like the water and electricity ones the departed king greatly cared about saving the means of comfort and welfare to the population in all parts of the kingdom. The beginning was form Ain Zubydah in Makkah and Ain El- ZarKh in Madinah. He also ordered his officials to save drinking water to the pilgrims and the Beduins by digging wells and setting up dams and basins to collect the water of floods on the ways that the pilgrims and the beduins use in their transportation. Saudi Tabreed is a Closed Joint Stock Company, incorporated as per the laws of Kingdom of Saudi Arabia, Head quartered in Khobar, Eastern Province, Saudi Arabia. The joint venture between Saudi Tabreed, ACWA Holding and RUSD International to create Saudi Tabreed brings together a powerful combination of experience, business acumen and technical excellence to create a private company that is not only providing an innovative service but also investing in Saudi Arabia's future. The world’s need for energy is growing, but so too is our ability to meet that demand. Our teams have been discovering new and better ways of delivering petroleum energy since 1933. Find out more about our leadership, our history and the people who make us the world’s leading integrated petroleum enterprise. SWCC is a Saudi government corporation responsible for desalinating sea water, in order to augment the supply of potable water to coastal and inland cities in the Kingdom. SWCC is also the second largest electric power producer in the Kingdom. SNC-Lavalin is one of the leading engineering and construction groups in the world, and a major player in the ownership of infrastructure and in the provision of operations and maintenance services. 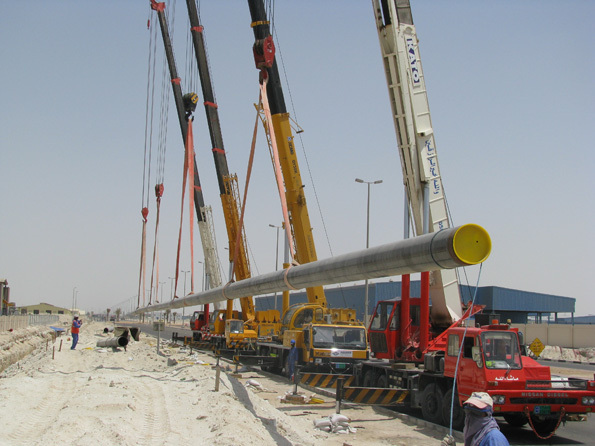 SNC-Lavalin companies provide engineering, procurement, construction, project management and project financing services to a variety of industry sectors, including agrifood, pharmaceuticals and biotechnology, chemicals and petroleum, environment, heavy construction, mass transit, mining and metallurgy, power and water management.